Q. I lost my Aetna ID card. How do I get a new one? A. Getting a new card is easy. You can log into your Aetna Navigator account at www.aetna.com and order a new ID card online. If you need help ordering a new card, you can contact the wellness program coordinator or member services at (215) 735 – 5720 and we can get one ordered for you. Q. I want to check my claims status online. Can I do that? A. Yes. 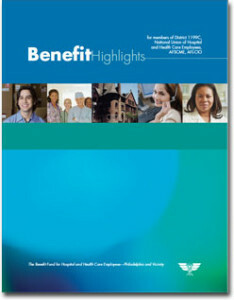 You have access to all your medical claims information online through your Aetna Navigator account at www.aetna.com. You simply log in and then select claim status. You can search all claims or just ones being processed. Q. I know I am supposed to complete the Health Risk Assessment (HRA) online, but I am not very comfortable using the computer. Is there someone who can help me complete the HRA? A. Yes – we can help you. 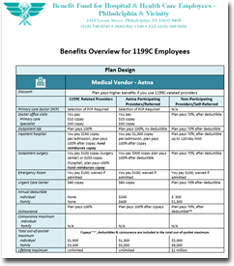 Simply call the wellness program coordinator at (215) 735 – 5720 and we’ll set up a time for you to come in and complete the HRA at the Benefit Fund Office. Q. What do my Union dues pay for? A. Union dues pay for the functioning of the union. Union dues do not fund any member benefits. For a list of what expenses union dues pay for, click here.